Only few hours left to start IPL 2013, the biggest club cricket tournament in the World. There are 11 official broadcasters will telecasting IPL 2013 matches across the World (check complete broadcaster lists here). If your country is not in the list, dont care about that. You can watch all the matches live with internet and your mobile devices. BCCI partner with online TV sites such as nexGTV and BoxTV to offer live streaming feature for all smartphone users across the world. Below I have listed apps download links for various devices such as Android, iOS, Blackberry and Nokia. Download and install the below application, which is suitable to your device. 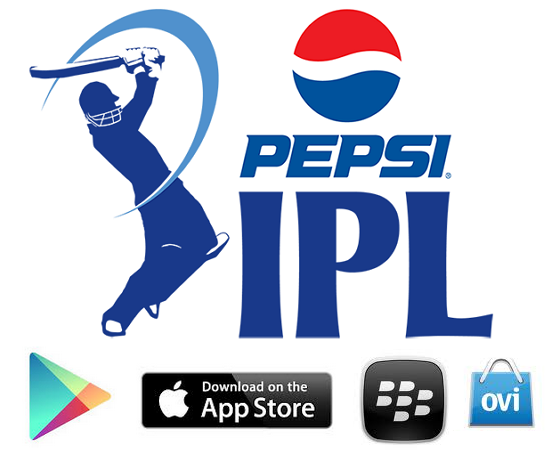 Then watch IPL 2013 live matches with your mobile device from anywhere on the world. Users those who are not using above smartphones you can watch the matches thorough internet click here to know the official live streaming sites.